Today’s clients are building a new home. 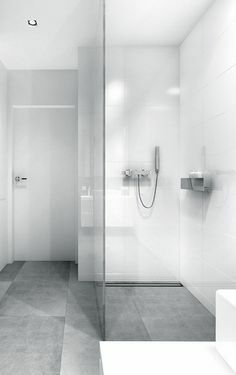 Their Concept Consult appointment objective is choosing tiles for their ensuite and laundry; keeping in mind the interesting architecture of their spaces. Their new build showcases many natural features. 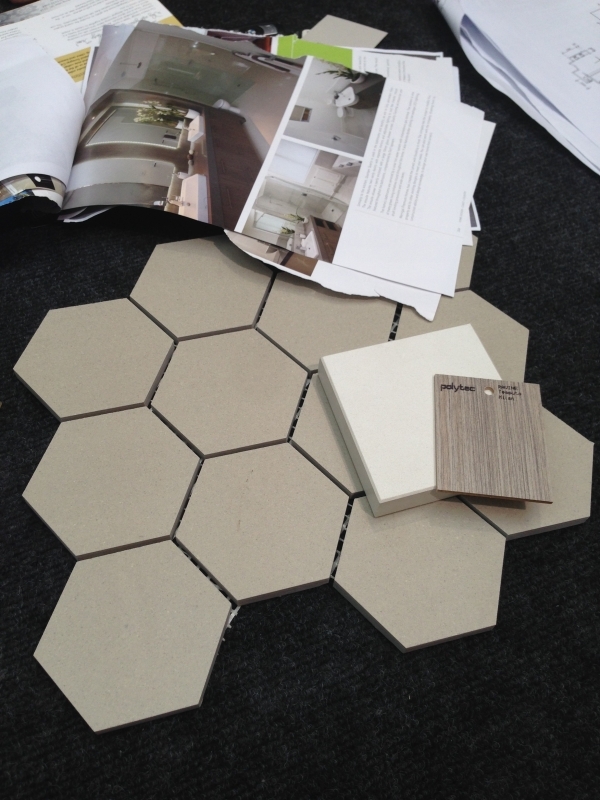 In the selection process of tiles we wanted to compliment these features, sticking with neutral tones and textures. 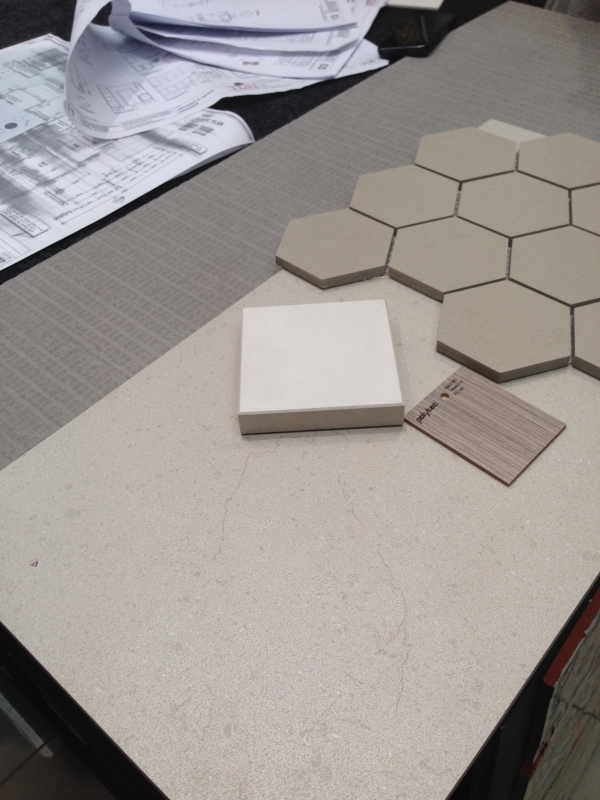 During our Concept Consult, our clients fell in love with a tile used on our showroom reception desk. 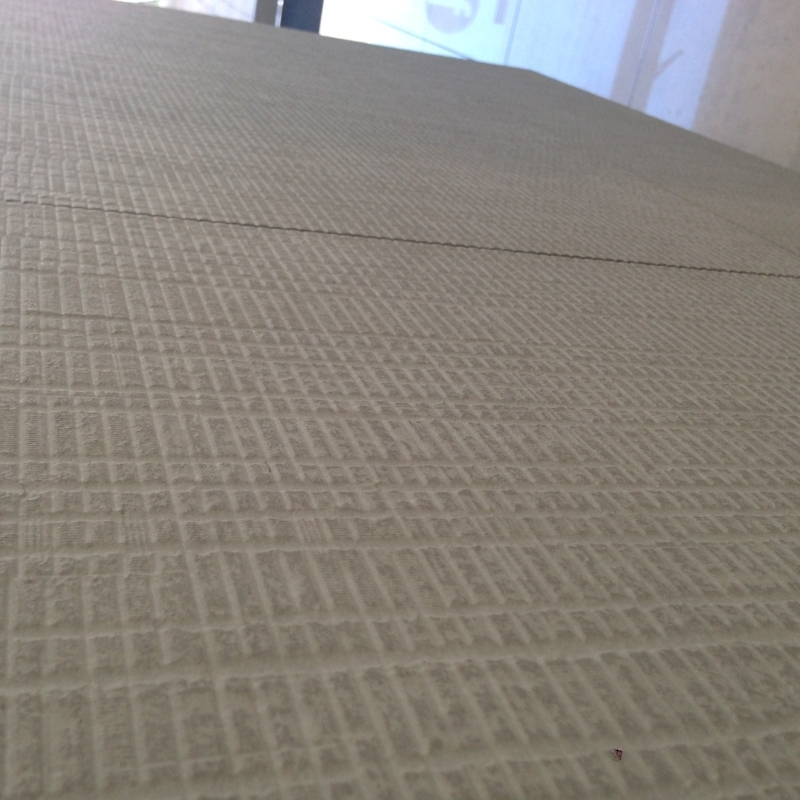 We implemented this tile into their concept as a feature tile in both the ensuite and other bathrooms. They also wanted a pattern feature behind their bath tub in the ensuite. We used ash grey mosaic hexagon tiles as this feature. The laundry splashback will also display the hexagonal tiles. 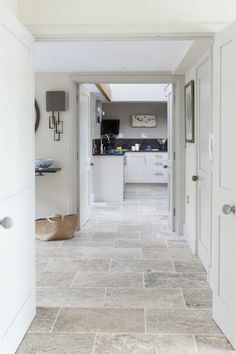 Finally to tie everything together we introduced a white sandstone tile for the floors and remaining walls. Above: A detailed close up of our awesome reception desk feature tile, a tile we based the client’s whole design around. Above: Client’s inspiration (magazine clippings) of what they desired for their bathrooms. 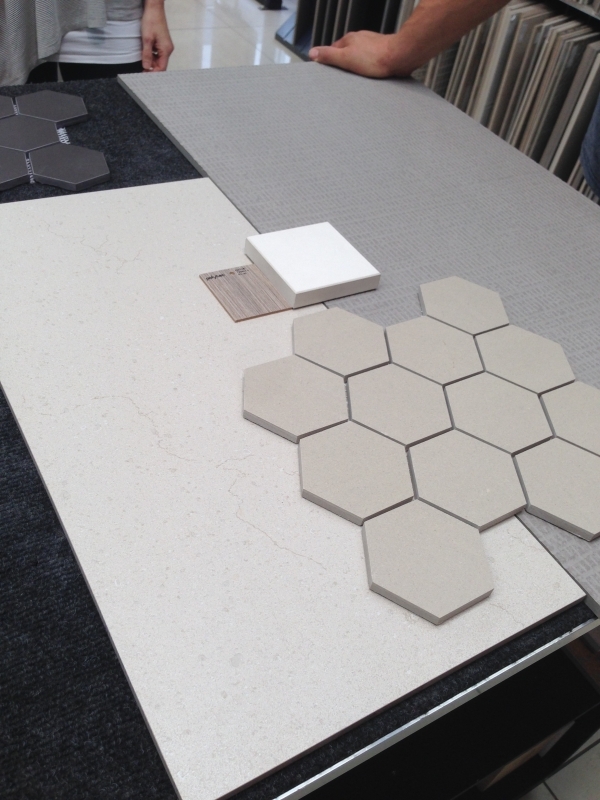 We found a Ceasarstone and laminate to match the ash grey hexagonals. Above: That’s a wrap! 3 different tiles selected to dress up their bathrooms and laundry, plus a laminate for their vanity and Ceasarstone for the bench top. 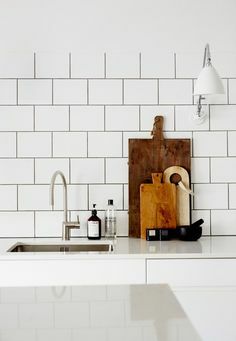 TILE junket showcases the best tile and stone products available in Australia from around the globe, right here in Geelong. We invite you to peruse the extensive range of products, fall in love, and book a complimentary CONCEPT CONSULT with our design team. Beautiful and unique products at your finger tips with qualified designer assistance.